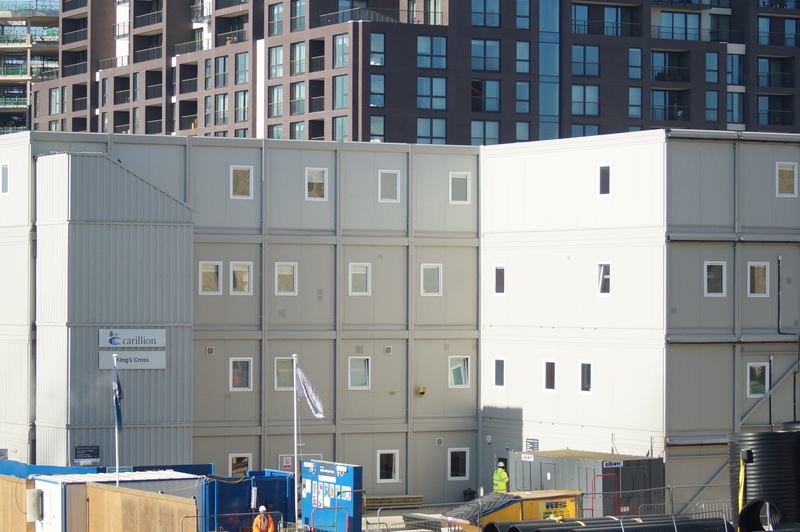 Premier Modular Limited was approached to provide the office and welfare accommodation for Carillion PLC during the building phase of the Triplets and R6 buildings on the King’s Cross Development. 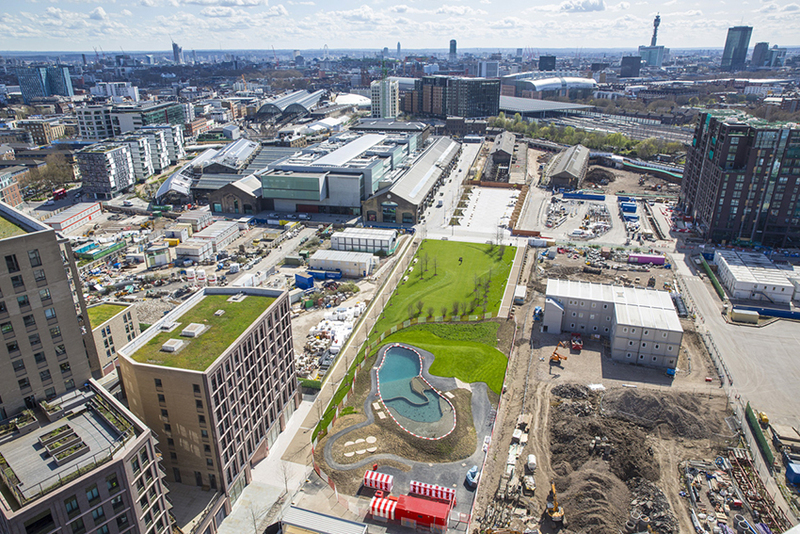 The 67 acre project is the largest city-centre redevelopment in Europe and when complete in 2020 an estimated 45,000 people a day will benefit from the 3.4 million square feet of office space, 500,000 square feet of retail and leisure space and close to 2000 new homes. Premier Modular has been a modular construction innovator for 60 years and this project is another successful example. The building was installed over two phases. The initial installation was a 3-storey office and welfare building providing accommodation for 700 site operatives and 120 office staff. 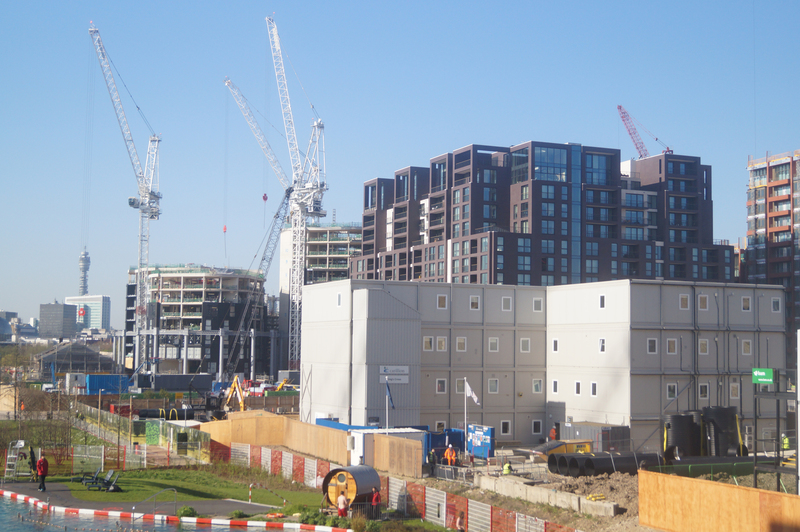 Phase two occurred when Carillion’s workload onsite increased. Due to Premier’s adaptable and interchangeable fleet an additional floor was added using 16 to accommodate a further 84 Carillion staff. The flexibility of the Interlink fleet enabled the additional facilities to be installed with minimal disruption to ongoing site projects and ensured that all staff covering the various projects were located within one building. Due to the tight site logistics Carillion ensured the foundations would support a fourth floor if required, making sure the building could be adapted if needed.